Tricia Eastman is a pioneer in the psychedelic renaissance with a mission to inspire others to become their own "inner alchemists". Her holistic approach incorporates eastern philosophy, tantra, bio-hacking, herbal medicine, mind body integration, archetypal mapping, meditation, somatic therapy, and shamanism. For over 15 years she has consulted for top-destination spa and retreat centers on novel treatments and best practices. As an medicine woman operating internationally, she curates medicine retreats in countries where use is legal. She is an experienced ceremonial facilitator of 5-MeO-DMT, a powerful psychedelic medicine from the Sonoran Desert Toad. As an Iboga provider, Eastman has been initiated into the Mboumba Eyano tradition, trained in the Missoko tradition, and she has facilitated the psychospiritual Iboga program for Crossroads Treatment Center in Mexico. Sheldon Solomon is a psychologist and professor of social psychology at Skidmore College. He earned his B.A. from Franklin and Marshall College and his doctoral degree from the University of Kansas. 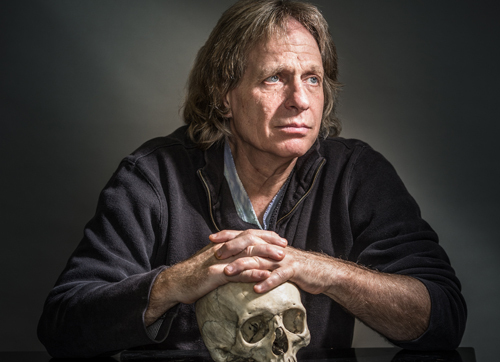 He is best known for developing terror management theory, along with Jeff Greenberg and Tom Pyszczynski which is concerned with how humans deal with their own sense of mortality. Solomon is the Ross Professor for Interdisciplinary Studies at Skidmore.